Editor’s Note, July 13: Congratulations Team Hawaiʻi. 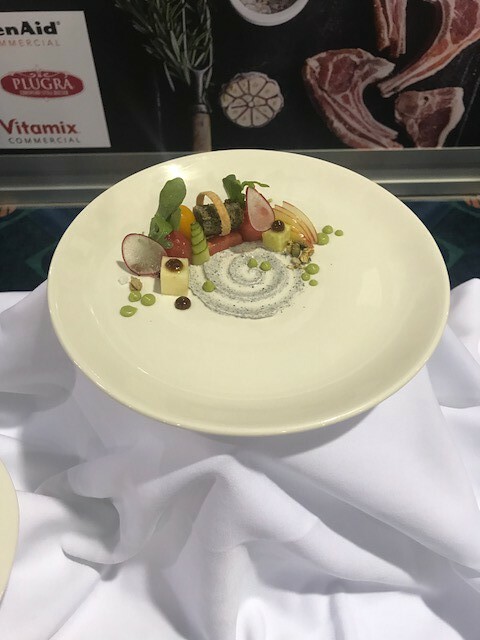 The Kapiʻolani Community College culinary team captured silver (third place) at the American Culinary Federation National competition. 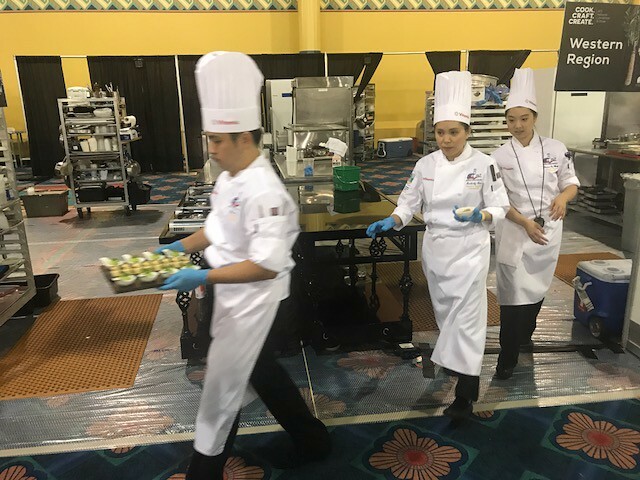 Editor’s Note, July 12: See photos of Team Hawaiʻi as they competed. 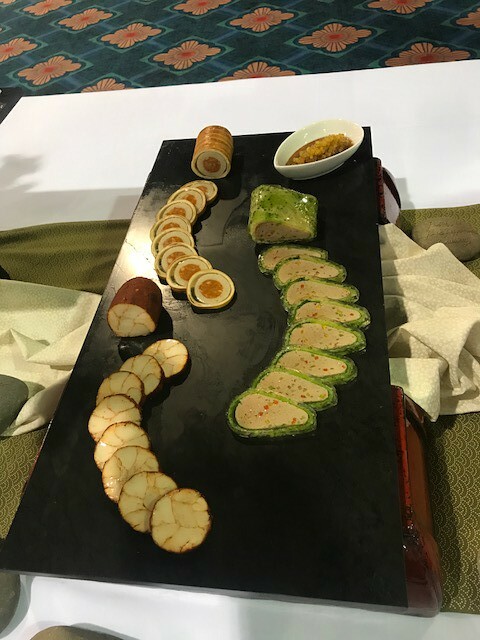 A student culinary team from Kapiʻolani Community College hopes that they have created a menu of a champion. 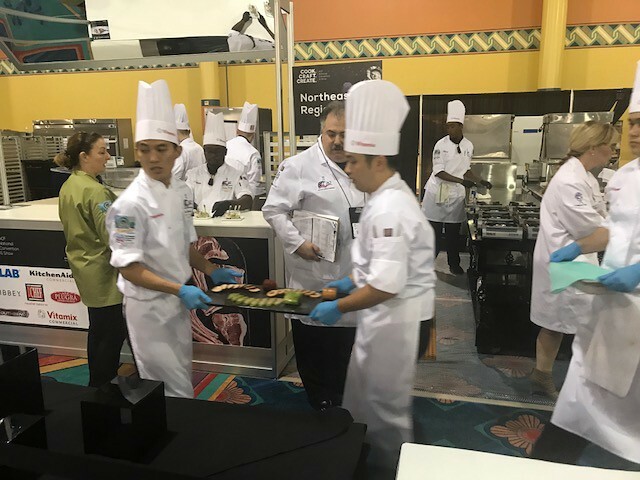 Team Hawaiʻi is competing at the 2017 Cook. Craft. Create. 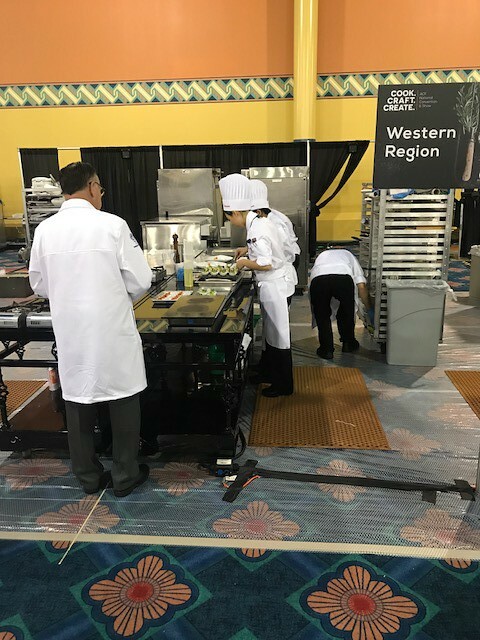 American Culinary Federation National Convention and Show—considered the national collegiate culinary championship—in Orlando, Florida beginning July 11. The winners will be announced on July 13. “It’s a big deal, for not only for the school and Hawaiʻi but for these students. 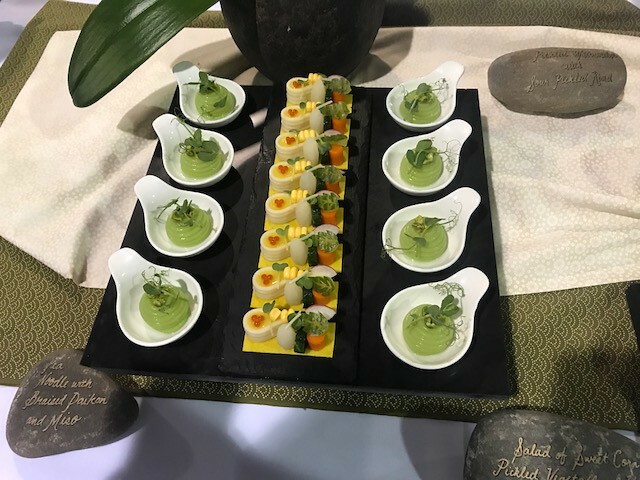 It’s a great opportunity for them to see something new and to challenge themselves,” said Kapiʻolani CC Lead Chef Instructor Jason Peel. “I just hope we come back and make everybody proud. 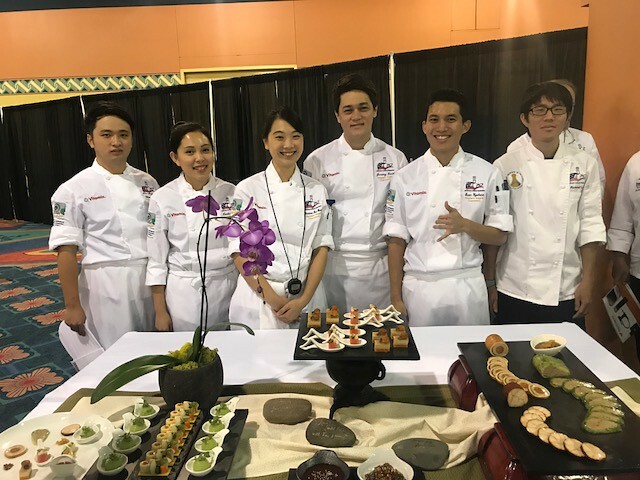 We just want to do our best and we want to make sure we are happy with ourselves no matter what the outcome is,” said Kapiʻolani CC culinary team member Christian Rae Wong. The six-member student team—Jeremy David, Richard G. Lee, Kimberly Lim, Qihao (Sam) Tan, Sean Uyehara, Christian Rae Wong—has been practicing non-stop since winning the state competition in December and western regionals in February. They will face the three other regional winners and a military team for the national title. 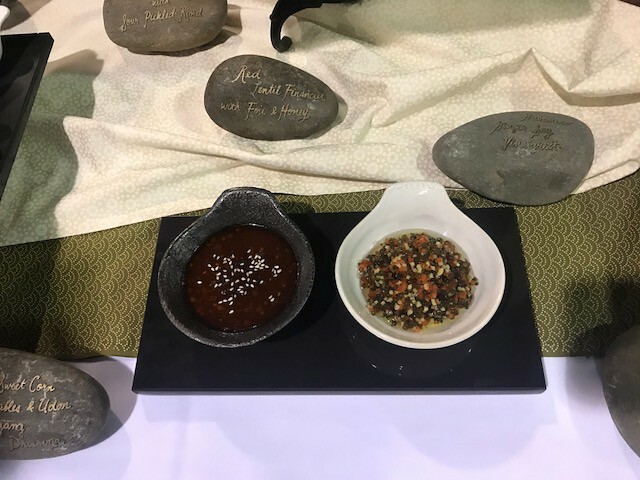 Team Hawaiʻi has been coached by Peel and Kapiʻolani CC Chefs David Brown and Alan Tsuchiyama. 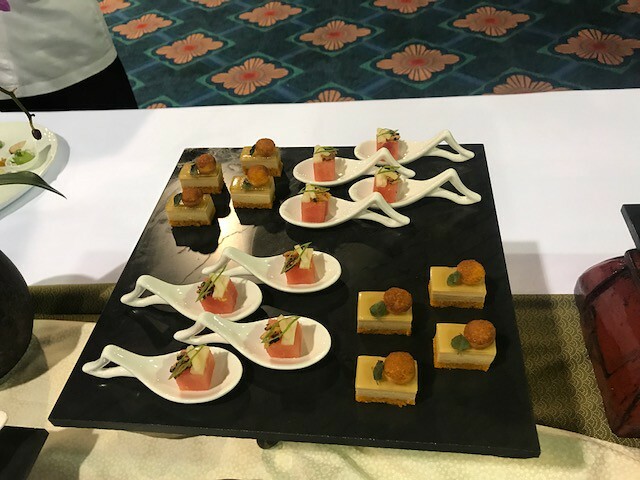 The team has been working hard perfecting their menu and preparing for pressure of competition. 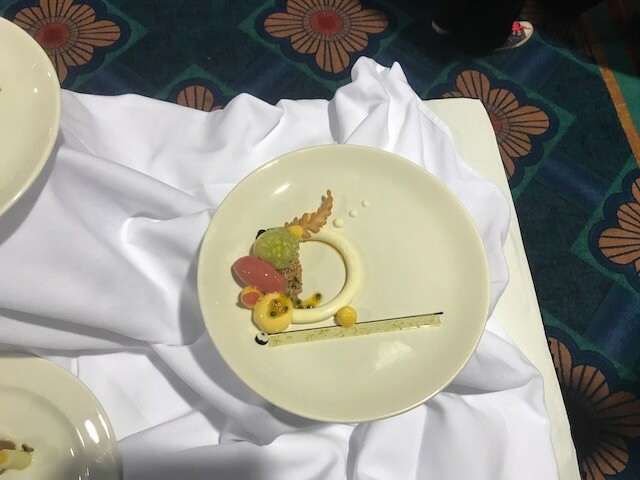 On day one of the competition, they will have to prep a cold food buffet platter utilizing a market basket filled with rabbit, peas, corn, red lentils and Habanero chilies. 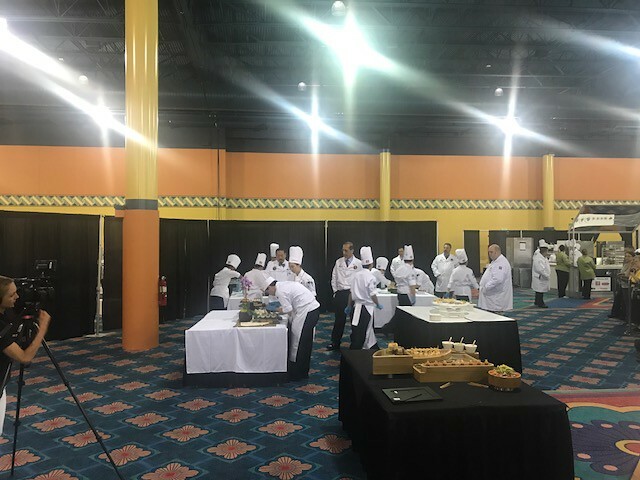 And on day two, they’ll have 110 minutes to prepare a four-course meal and will present that along with their cold platter—all in front of a live audience. “It’s going to a new kitchen and just going for it. It’s a lot of improvisation in the moment,” said team member Jeremy David. “It’s just a total different environment with judges breathing down your neck, trying to throw you off your game,” said Peel. 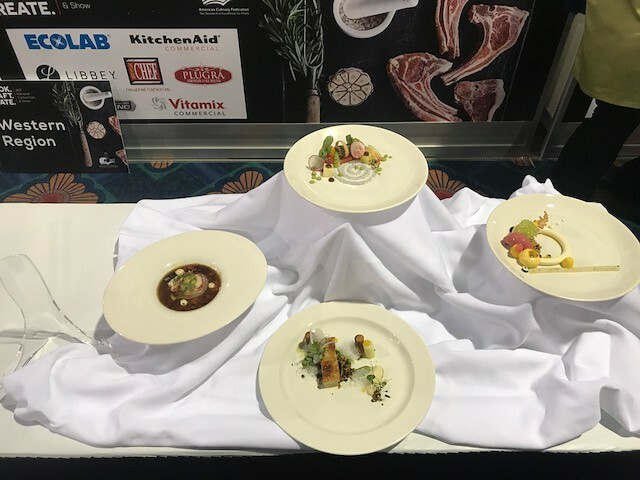 Team Hawaiʻi is hoping their dishes bring the title back home. Kapiʻolani won the national championship in 2009. “We are all going to do our best and hope that we represent Hawaiʻi very well,” said David. View more photos on the University of Hawaiʻi Flickr site.